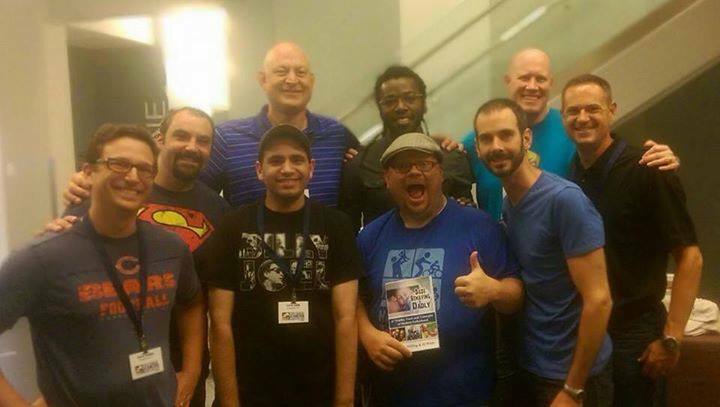 At the National At Home Dad Network Convention in Denver last year I met many fellow Stay At Home Dads from around the country. Two of the guys that I met, Al Watts and Hogan Hilling, shared their dream about a book they were writing together. They were soliciting submissions from dads who were willing to share stories about being dads. At that time I hadn’t really written very much since my college days. I hadn’t even started my blog yet and, to be completely honest, wasn’t sure if I had anything to offer them. Well, I started my blog a few weeks later and realized how much I enjoyed writing about my life as a SAHD of six kids. Then, shortly after the calendar flipped to 2014 I received an email from Hogan asking if I’d consider submitting something to their book project. I still didn’t know what to do as I didn’t think my writing was really worthy of consideration. 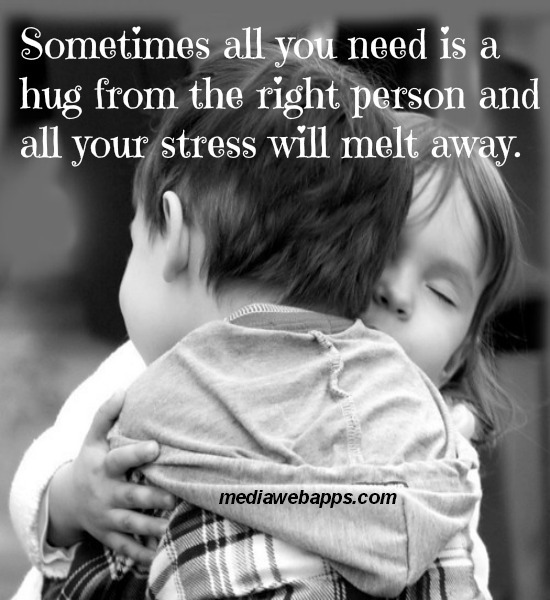 After a few months of mulling his offer over I got over my own insecurities and emailed him my blog post from February, entitled Bad Dad: Seeking Forgiveness. Amazingly, I received word that they liked it enough to include an edited form of it in their book. I was going to be a published (contributing) author! Never in my wildest dreams did I think that would ever happen. Yet, they sent word that the book was going to be released in June. 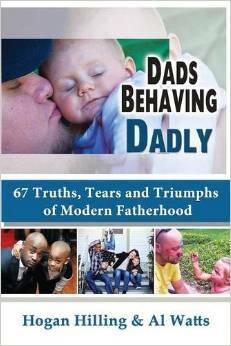 Dads Behaving Dadly: 67 Truths, Tears and Triumphs of Modern Fatherhood is a collection of stories from dads around the world. But they’re more than just stories. They collectively show how modern dads are dealing with every day life in a more hands-on manner than ever before. Gone are the days where dads went off to work and returned home to read the paper while having a mixed drink before dinner was ready. This isn’t your grandfather’s book. From the very first entry clear through to the last one I was moved by the honesty and raw emotions in this book. Be warned. Have a box of tissues nearby. This isn’t a collection of feel-good stories that paint an unattainable picture of the perfect father. These 67 stories run the gamut of real-life experiences: the joy of birth and the agony of miscarriage; depression; divorce and blended families; parenting wins and parenting fails. The book stands on its own as a great representation of what it means to be a father in the 21st Century. As I read this book I was amazed by the many great things my peers are doing in their families and was inspired to be a better husband and father as a result. This is not a book just about SAHDs. Many of the men who contributed to the book work outside of the house. 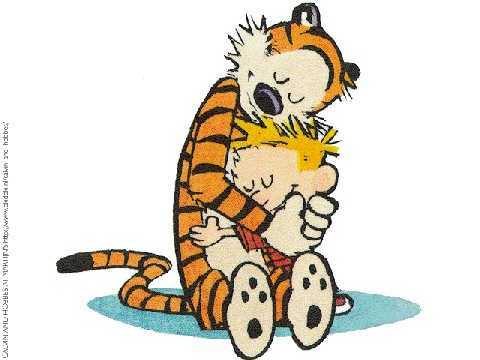 The common thread we all share is being a dad. While I’m proud of the overall book I’m humbled and honored to be a small part of it as a contributing author. 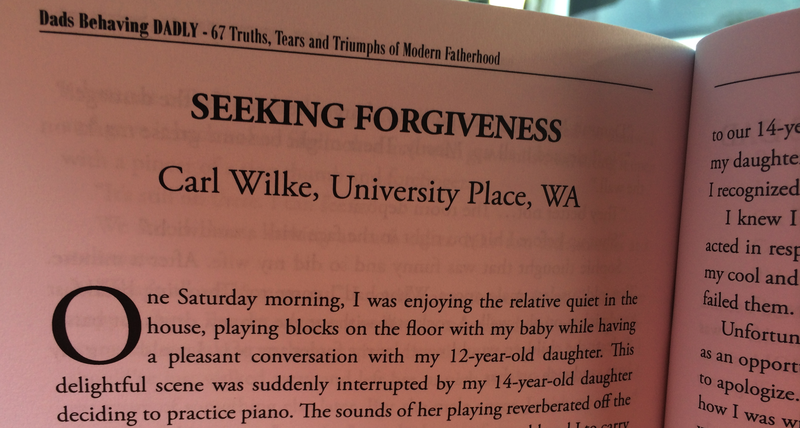 It’s truly a dream come true to see my name in print. I bought several copies when Dads Behaving Dadly was released earlier this year and have been giving them away as gifts to family and friends. If you’re looking for a gift for any dad (or dad-to-be) this would be a fantastic idea. It’s available on Amazon (click here to order) for $17.28. (Free shipping if you have Prime membership.) This past weekend the New York Times published a wonderful article about the brotherhood of the Stay At Home Dad. Their reporter/photographer was at the convention in Denver this September to interview several of the conference attendees and book contributors while we had a book signing. The photo below appeared in the NYTimes and showed me signing the book. I was in the New York Times! How cool is that? 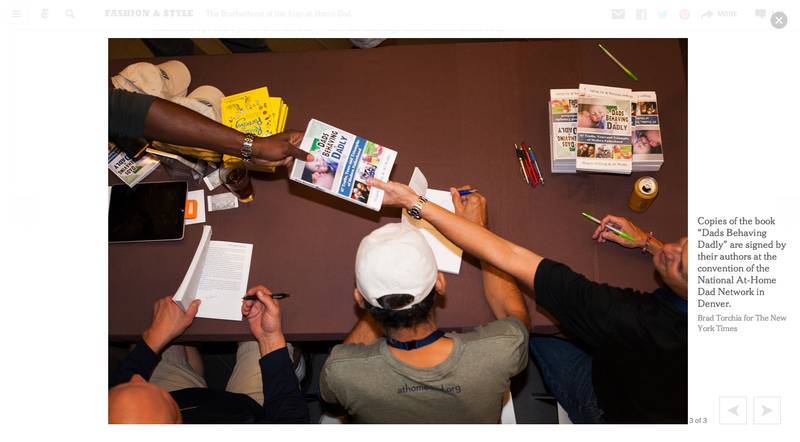 That’s my bald dome in the lower left signing the book. Hogan is in the middle and Al is next to him. With Hogan at the book signing. I’m honored to call these guys friends. They’re also SAHDs and contributing authors to the book. Since I have enjoyed this book so much I want to give you, my readers, a chance to win your own autographed (yeah, I’ll sign it!) copy of this book. Simply enter through this Rafflecopter giveaway. Contest ends at midnight on December 1, 2014. Please share this post with anyone you know who would benefit from and be inspired by a fantastic book about modern fatherhood. Disclosure: I was not paid or compensated by Hogan or Al in any way for this post. The views represented are 100% mine. I’ve been a parent for almost twenty years and have read hundreds, if not thousands, of books to my six children over those years. My wife and I have placed a high value on reading to our children so that they can not only learn how to read but also to love to read. Our personal “library” of children’s books is large and includes classics like Goodnight Moon, Goodnight Gorilla, 10 Little Rubber Ducks, Dr. Seuss, and many others. As a Stay At Home Dad I make it a priority to bring my kids to the library so that they can choose books for themselves. It helps to give them ownership and builds excitement and anticipation for when we return home and snuggle up on the sofa to read together. We can travel to many wonderful and exciting places through the pictures and words in those books. There’s nothing quite as sweet as the feeling of your children nestled into your lap, heads resting against your chest as they contentedly connect with the book. What if I told you that there’s an opportunity for you to get your hands on a fantastic new book that’s not even yet published? Would you consider supporting such a venture? It just so happens that my friend and fellow SAHD, Christopher Routly, is back at it again with another book. 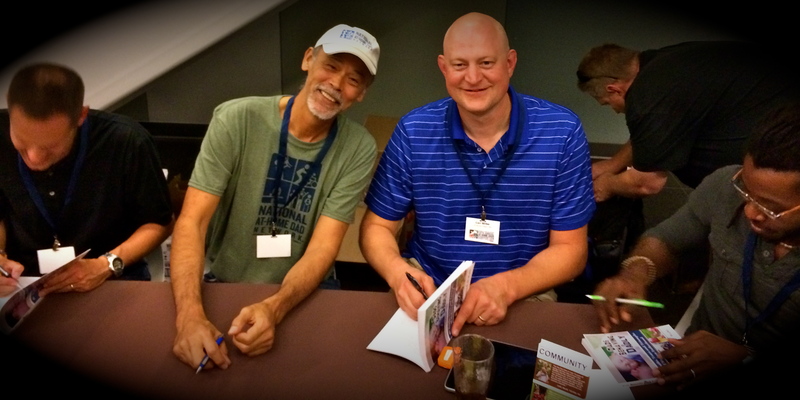 Last year I met him at the National At Home Dad Network annual convention in Denver, Colorado and I was thrilled to win a paperback copy of one of his children’s books, The Animalphabet, which he authored and illustrated for his own two boys back in 2012. I liked his colorful and vibrant illustrations and, upon bringing the book home, my kids agreed. 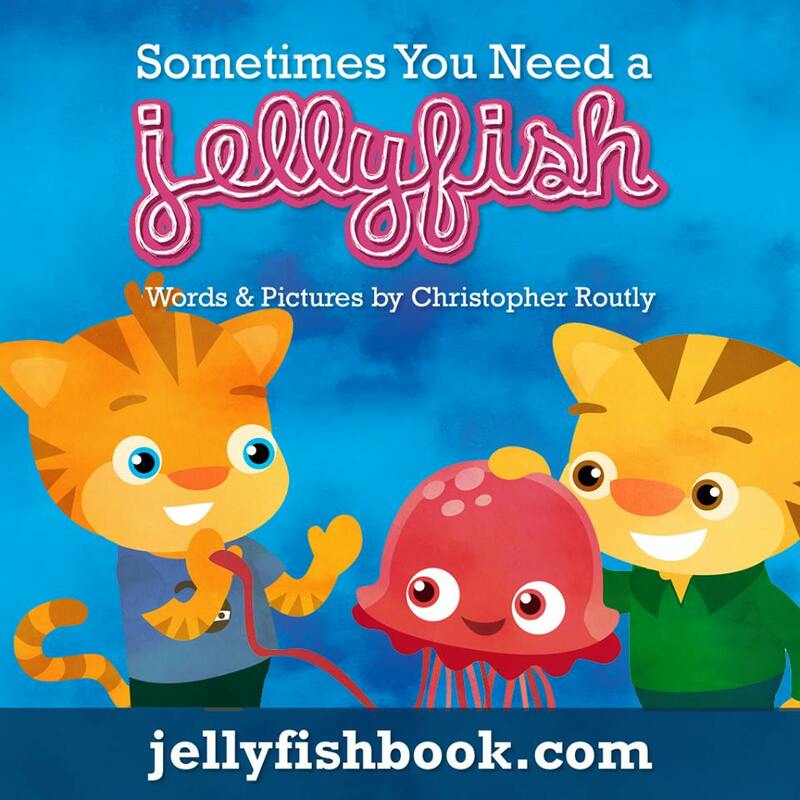 Well, this time around, in his yet-unpublished book, Sometimes You Need A Jellyfish, Chris has taken a simple and slightly silly sounding statement from one of his kids and created a picture book that tells the story of two brothers who are packing for a trip. One of them packs a jellyfish and the story goes from there. Chris was kind enough to send me a link to a digital copy of his book and a few things about it caught my eye. First, his illustrations are engaging, colorful and simple. The text flows nicely between the brothers while sneakily introducing new vocabulary to the unsuspecting reader. Do you know the proper term for a group of jellyfish? I didn’t. But it’s in the book. (Bloom, in case you’re wondering.) Sometimes You Need A Jellyfish is also uses humor to draw in the reader. I showed the book to both my four year old daughter and ten year old son and they both loved it. When asked why he liked it so much, my son said “I think it’s pretty cool that he wrote a story about what his son said. And I liked the part about having a jellyfish clean up your messy room. That would be fun.” My four year old mostly laughed and giggled and said that it was silly…before requesting to read it again. It’s one of those books that I would enjoy reading right along with my kids. Even multiple times in a row! What’s especially cool about Chris’s book is that it’s not even published yet. It’s pretty much ready to go to the publisher but there’s one catch. Money. (It’s always that, isn’t it?) This time around Chris wants to raise $10,000 to properly launch his book. He actually made a short video about his book and related fundraising campaign. Please take a moment to watch it. He explains it far better than me. Plus, there’s some nice music in the background of the video clip to cheer you up. Interestingly enough, after reading the book and watching the short video my son asked if he could donate to Chris’s book campaign from the money that he’s saved from allowances and doing extra chores. I’m also making a contribution. But, here’s the deal. It’s not like you’re just giving Chris your money and you get nothing for it. There are rewards for making a contribution. In essence, you’re pre-ordering the book since most of the rewards include getting a signed hard-cover copy of the book. It’s not often that one gets a chance to help “kickstart” a project like this. Please, check out Chris’s video about his book or his blog, which is Daddy Doctrines, for more information. Finally, don’t just take my word about this book. Check out a review from another friend named Chris, who is also a SAHD and blogger at DadNCharge, living in Philadelphia, PA. Neither one of us was compensated in any way (now or in the future) for our reviews. We’re simply passing along an opportunity to help launch a wonderful children’s book while simultaneously encouraging Christopher Routly to keep on pursing his passion for writing and illustrating children’s books.